We provide answers to the most frequently asked questions (regularly updated in accordance with political developments). Brexit deadline extended. What happens now? EU leaders have agreed a variable extension to Article 50 (Treaty on European Union) to delay Brexit. It was due to happen on 29 March. If the UK parliament ratifies the Brexit deal before the March 29 deadline, Britain will have until May 22 to complete any technical steps, exit and begin a transition period. That is a day before the European Parliament election begins. If the House of Commons fails to vote, or votes to reject the deal for a third time the UK would have until April 12 to indicate a way forward or leave the EU without a deal. Is anything in my present status affected if the UK leaves the EU with a deal? The Withdrawal Agreement and the Political Declaration on the future relationship between the UK and the EU anticipates a transition period lasting until December 31 2020, with the possibility to extend it until the end of 2022. It assumes that the UK citizens living in the Czech Republic will maintain and enjoy the rights that EU nationals have today in order to live, travel, work and study. What will be the basis of my right and obligations as a UK citizen who has resided in the Czech Republic prior to Brexit? The situation of UK citizens in the Czech Republic will be governed by “lex Brexit”, except the field of healthcare and its reimbursement, which introduces almost two years transition period (until 31 December 2020) that would guarantee the preservation of selected rights of UK citizens and allow them a smooth transition to the residence regime of third-county nationals. The law covers several areas from residence, citizenship, access to labour market to recognition of professional qualifications, etc. What do I have to do to legalise my stay on the territory of the Czech Republic? In order to be able to reside on Czech territory, you will need to prove that you were legally staying in the Czech Republic prior the Brexit date – have a valid temporary or permanent residence permit. For easier orientation please see Brexit webpage of Ministry of the Interior and the guide for UK citizens. The possibility to remain on Czech territory will be given also to persons who have applied for a temporary residence permit before Brexit day, but their application has not been processed yet. When can I apply for a permanent residence permit or Czech citizenship? If you have lived in the Czech Republic for more than five years you can apply for a Permanent Residence Permit. If you are a family member of Czech or another EU citizen with a permanent residence permit and you have been living in the Czech Republic for more than two years you can apply for a Permanent Residence Permit. After stay for more than five years on permanent residence permit, you can apply for the citizenship. What do I have to do if I want to stay in the Czech Republic after 2020? In order to have a right to stay in the Czech Republic after 2020, during the transition period you have to submit an application for temporary, a long-term or permanent residence permit of third country nationals. What rules will apply for newcomers? British citizens arriving to the Czech Republic after the Brexit date will be in the position of third country nationals and the same rules as for any other third country nationals will be applied. Will I now need to have a work permit? A work permit, employee card, or blue card is not required for a UK citizen or a UK citizen family member whose work (in accordance with the Czech Labour Code) began prior to the effective date of the „lex brexit“ (Act No.74/2019 Sb.). If UK nationals who have not obtained permanent residence in the Czech Republic will want to change their job after Brexit, they will be required to file for a work permit as third country nationals. The Brexit Act is, in this matter, only a contingency act that introduces transitional measures to prevent negative situations such as loss of employment due to „hard Brexit“. If, however, the concerned UK nationals would like to change employment after Brexit, they will be not considered falling under Article 8 of the Brexit Act. Is healthcare still free for me? All persons employed by an employer with a registered office or permanent residence in the Czech Republic, irrespective of their nationality, will continue to have access to the Czech healthcare system after the Brexit date. Same goes for the persons with permanent stay in the Czech Republic who are obliged to have a health insurance with the Czech Republic. Access to healthcare for majority of UK citizens residing in the Czech Republic will not change after UK leaves the EU. British citizens arriving to the Czech Republic after the Brexit date will be in a position of third country nationals, their access to the healthcare will be limited according to the given rules stipulated in Act No. 326/1999 Sb. Basically, they will be obliged to be covered by private (travel) health insurance as specified in Act No. 326/1999 Sb. regulating the residence of foreigners in the Czech Republic. Can I still have a Czech bank account? British citizens with payments accounts in the Czech Republic are expected to maintain the same overall level of rights that they have currently before Brexit. After the Brexit date, the British citizens as foreigners from a non – EU (so called third) country who are legally resident in the Czech Republic will be in principle able to open bank account in the Czech Republic. Obviously, exact conditions for opening a payment account and using a specific product may differ bank by bank, because they depend on the terms and conditions offered by each individual bank. Do I have to pay taxes in both countries or just where I´m resident and/or working? In the area of income and capital gains taxation, the Convention between the Government of the Czech and Slovak Federal Republic and the Government of the United Kingdom of Great Britain and Northern Ireland for the Avoidance of Double Taxation with Respect to Taxes on Income and Capital Gains , 89/1992 Sb., which was signed in London on 5 November 1990, still remains in force and effective. Brexit will have no impact on the existence of this particular Convention. Its provisions have to be followed as in the situation when the UK is a member state of the EU. In a „no deal scenario“, Article 12 of the „lex Brexit“ provides certain temporary rules with regard to income taxation in relation to the UK, respectively in relation to its residents. I live in the Czech Republic, should I apply for a Czech driving licence? The exchange of a driving licence is necessary when its holder will be allowed to stay in the Czech Republic for longer period than 1 year or, he/she has obtained a permanent residence permit. UK citizens shall apply for the Czech driving licence within three months from obtaining residence permit. However, exchange will only be possible if the UK driving licence is compliant with the driving licence requirements laid down in the Conventions on Road Traffic (Geneva 1949, Vienna 1968). These requirements are met by photocard licences. However, driving licences – paper model, do not comply with international conventions and cannot be accepted for exchange. If the person wanted to obtain a Czech driving licence, he/she would have to undertake training at a driving school and pass an examination of professional competence to drive motor vehicles and then apply for a driving licence. This obligation applies in the Czech Republic for all countries other than member states of the EU. I will visit the Czech Republic, can I drive with my UK driving licence? Driving licence (model photocard) issued in accordance with Directive No. 2006/126 and International Convention on Road Traffic (Vienna 1968) will be recognized for driving on the territory of the Czech Republic after Brexit. International Driving Licence will not be needed. The same cannot be said for holders of non EU-model photocard licences. Driving licence (paper model) isn’t issued in accordance with Directive No. 2006/126 and International Conventions on Road Traffic (Vienna 1968 or Geneva 1949). Based on these facts this driving licence will not be recognized for driving on the territory of the Czech Republic after Brexit. Holders of this driving licence will have to hold the International Driving Licence for driving on the territory of the Czech Republic. Will my professional qualification gained in the UK before the withdrawal date be affected? Generally, it is possible to state that professional qualifications gained in the UK before the withdrawal date will be counted as professional qualification gained in the EU. Professional qualifications gained in the UK after withdrawal date cannot be counted as qualifications gained in the EU and, therefore, it will be necessary to proceed on the basis of academic recognition regarding the recognition of these qualifications. The academic recognition procedure does not differentiate qualifications on the basis of the country of origin. As to specified medical and non-medical professions, the Brexit Act states that qualifications gained during the transitional period in the UK will be recognised as qualifications gained in an EU member state. Will my academic qualification be affected? Recognition procedures will not be affected by Brexit. Recognition of academic qualifications is not even a part of the Brexit Act. Recognition of Foreign Higher Education for academic purposes is not regulated by EU law. The Convention on the Recognition of Qualifications concerning Higher Education in the European Region (Lisbon Recognition Convention) will remain the main international convention defining recognition procedures. UK higher education qualifications will thus be subject to standard recognition procedures known as academic recognition defined in Section 89, 90 and 90a of the Act No. 111/1998 Sb. How will Brexit affect my Erasmus+ learning mobility to the EU countries? In case of no deal scenario British students will not have to worry about their ongoing learning mobility to the EU countries. If this mobility starts before the withdrawal date students will still be entitled to receive financial grants to cover the expenses of their mobility. This will be possible on the basis of the Proposal for a Regulation of the European Parliament and of the Council laying down provisions for the continuation of ongoing learning mobility activities under the Erasmus+ programme in the context of the withdrawal of the UK from the EU. However when adopted, this regulation will not apply to the learning mobility that will start after the withdrawal date. How does Brexit affect trade? Brexit does not only mean a halt to UK contributions to the European budget or British involvement in decision-making, it has also consequences for the way trade is to be done between EU and the UK. For trade Brexit essentially means a loss of preferential status and an end to frictionless trade from the day after UK leaves the EU. All the trade barriers dismantled on the EU Single Market will once again remerge. That is why the EU and the UK negotiated a Withdrawal Agreement to reduce the shock of losing the preference overnight. The Withdrawal Agreement introduces a transitional period that gives business time to adapt and the EU and the UK to negotiate future trade agreement. The goals and outlines of the future trade relation between the EU and the UK are reflected in the Political Declaration joined to the negotiated Withdrawal Agreement. If the Withdrawal Agreement is agreed, there will be no changes for the businesses as during the transitional period the UK will still be bound by the EU law and have unlimited access to the single market. If the Withdrawal Agreement is not approved, from the day after UK leaves the EU trade relations between the EU and the UK will be guided by the rules of the World Trade Organization. Even though the EU and the UK reached a compromise on the Withdrawal Agreement in November 2018, this deal requires a formal ratification of the EU and the UK. Unlike in the EU, the process in the UK has been more complicated and we still cannot rule out the possibility of the UK leaving without a deal. What does hard Brexit mean for my company? Given the ongoing discussions in the UK Parliament, the no deal scenario still cannot be ruled out. Therefore, we urge companies to prepare to look at their business processes and supply chains and take necessary measures to adapt to the new conditions. By leaving the EU without an agreement, the UK will become a third country from the EU perspective and preferential status of our trade with the UK will end. This means that businesses will be able to rely on the minimum standard guaranteed by WTO rules. This standard guarantees non-discriminatory treatment based on MFN and national treatment, so companies will not be treated less favourably on the market of destination than those from USA or India. In practice, this means the introduction of tariff and non-tariff barriers. The specific conditions of export to the UK market will be determined exclusively by the UK from the day after UK leaves the EUand may thus differ from the conditions of operation in the EU Internal Market. More on these conditions can be found in the UK government guidances and an overview of the consequences of Brexit can be found in the EC notices. Customs formalities: Trade in goods will be subject to customs supervision. Customs duties will be restored – EU Customs Tariff (available in the TARIC database) will apply to imports and UK Customs Tariff will apply to exports to the UK. On 13th March the British government published its temporary form. Accordingly, 87% of imports to the UK will enter the UK market duty-free after UK leaves the EU. The remaining 13% of imports will be subject to the duty rate – e.g. completed cars, tyres, ceramic products, textiles, cheese, poultry or pork are affected. Economic operators will also have an obligation to submit a customs declaration and go through a border check before the goods are released for free circulation. More info here. Border checks: Goods will have to undergo a check at the border which may create delays at the points of entry. There are in principle three kinds of border checks – security (in particular for goods of animal and plant origin), financial (related to customs declaration, tax, etc.) and market surveillance controls (especially for industrial goods legislative and other requirements). Certified industrial goods: free movement of goods across the EU is possible thanks to the mutual recognition principle and harmonization of standards for some products. This secures that the consumer can rely on the product to be safe. In case of no deal Brexit, the mutual recognition principle ceases to apply. 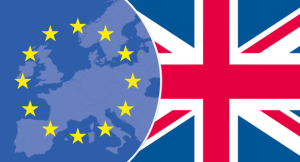 Thus, it will be no longer possible to recognize UK certificates and goods with a certificate issued by a UK conformity assessment body will not be possible to place on the EU Internal Market. In the UK, the government is preparing its own system of certification. Yet temporarily the EU certification and declaration of conformity shall be accepted. Trade in agricultural products: The rules for trade with a third country, incl. standards of sanitary and phytosanitary and EU import standards. More on the website of the Ministry of Agriculture of the Czech Republic. Supply of services: For service suppliers hard Brexit mean loss of preferential treatment. No deal thus means that only national rules for third countries shall apply, which may entail an obligation to obtain a license, a UK/EU establishment or obligation to meet other requirements. E.g. in the case of road transport services, which are a significant sector for the Czech Republic, the hard Brexit would mean an obligation to settle for road cargo service suppliers as well as end to cabotage. Other trade-related areas: Hard Brexit also means the end of posting of workers according to EU rules and the recognition of professional qualifications. The Czech Republic has adopted national legislation guaranteeing reciprocal access to British declarations to retain selected rights for British citizens in the Czech Republic, incl. those related to selected services and the recognition of professional qualifications, for a transitional period until the end of 2020 in the case of the UK exit from the EU without an agreement. Where can I find further information on EU measures? The Withdrawal Agreement anticipates a transition period lasting until the end of 2020. It assumes that the UK citizens living elsewhere in the EU and EU citizens living in the UK will maintain their existing rights. However, it will only take place if the deal is countersigned by both sides in time and becomes valid before the said date. Date of entry into force unknown (pending notification).